Really excited to get this interview out. This is a must read for all young players and gives a great insight into the game. I worked with Kevin at the beginning of the season before Dover went back to morning training. 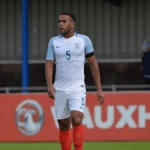 Kevin came through Norwich City Academy including winning the FA Youth Cup against Chelsea and has played league football at Stevenage as well as representing the England C Team which is for under 23 players in Non League Football. Make no mistake about it the National League is called Non League but clubs are full time and players are very good. 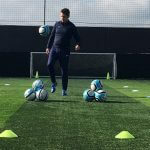 Having worked at that level I echo much of what Kevin says and he throws up a few things especillay regarding ‘ off the ball’ and ‘decision making’ that I want to explore further in future blogs. 1 How did you end up in Academy Football ? A: I was playing local football for Tilbury, and unexpectedly there was a Norwich scout at the game who then spoke to my parents after the game, and then offered me a 6 week trial which was successful. 2- Who are some of the players that you played with that we might know ? A: I have played with a few who have gone on to have good careers but I would say Angus Gunn who is the current Southampton and England goal keeper, The Murphy twins who are playing at Cardiff and Newcastle and I even shared some time with Harry Kane when he came to Norwich on loan as a youngster. 3- What do you think are the attributes needed to be a good football player? A: I think having a good technical ability with both feet is essential, whether you’re tall, small, fast or not so fast, having good technical ability will give you a chance. But understanding the game inside out can get you to the next level. 4- Where did you learn to play off the ball and how important is it ? A: When I was in the youth team at Norwich we done a lot of off the ball situational work. The smallest details can also prove to be the biggest. Checking shoulders, second movements and game understanding is at times more important than on the ball. 5. Can you explain what ‘ decision making’ is in football ? A: I would say decision making in football is being able to manage the game and make a decision to suit the circumstance of the match, within micro seconds! 6. What are the characteristics of a good centre back? A: First and foremost the ability to read the game and predict play is vital. Being vocal is very important and having the belief and confidence to bring the ball out of the back. 7 Give an example of when a centre back can start an attack ? A centre back can start an attack by receiving the ball from the goal keeper or opposite centre half, recognising if there is space In front of me, if so, step out with the ball and then pick out a striker with a pass into their feet or in behind the opposition defence, to then hopefully score. 8. Give an example of a difficult centre forward you have played against ? A: I’ve played against some top centre forwards but for me Matt Rhead who plays at Lincoln has been a challenge. He’s built like a wardrobe and very good in the air, often bullies defenders with his size and strength so it’s difficult to compete physically, have to be smart against these type of players and not get into a physical battle. 9 Who was your favourite player growing up? A: Rio Ferdinand, I loved how comfortable and composed he was on the ball in comparison to other centre backs. He was quick, strong and technically gifted and I tried to emulate his game a lot growing up. 10 Do opponents talk to you during the game ( what do they say!) ? A: Nearly every game! I remember one time I was playing for Colchester United against Millwall under 23’s and I was marking Danny Shittu from a corner, and he whispered in my ear “I’m going to eat you alive”. He didn’t, and we won. Cheers. 11 You score a few goals which is your favourite ? A: I’d say my favourite goal would be my half volley for Maidstone United against Chester a couple years ago. I scored 2 in that game which kick started our 15 game unbeaten run and survived relegation. 12 What in your opinion determines the level a player plays at in professional football ? A: there’s so many technically gifted players out there who are playing at a very low level. So I think the ones who play at the highest level are the ones who know what they’re best at, and make the correct decisions more often than not…And a little bit of luck. 13 When do you feel you have had a good game ? A: For me, if I win my one to one battle with the striker, keep a clean sheet and successfully organise the team to victory, then I believe I’ve had a good game. 14 What would you do if you where not in football ? A: I love everything about property so I would say something along the lines of a property developer. ? 15 What boots do you wear? 16 what team do you support?